A spectacular anthology of all-new material crafted by a stellar cast of award-winning cartoonists, including James Kochalka, Gabrielle Bell, Josh Neufeld, Dean Haspiel, King Crab & Joel Orff, David Lasky, Robert Ullman, Derek Sakai, Jen Sorensen, Damon Hurd & Tatiana Gill, and Jed Alexander. Covers by James Kochalka. 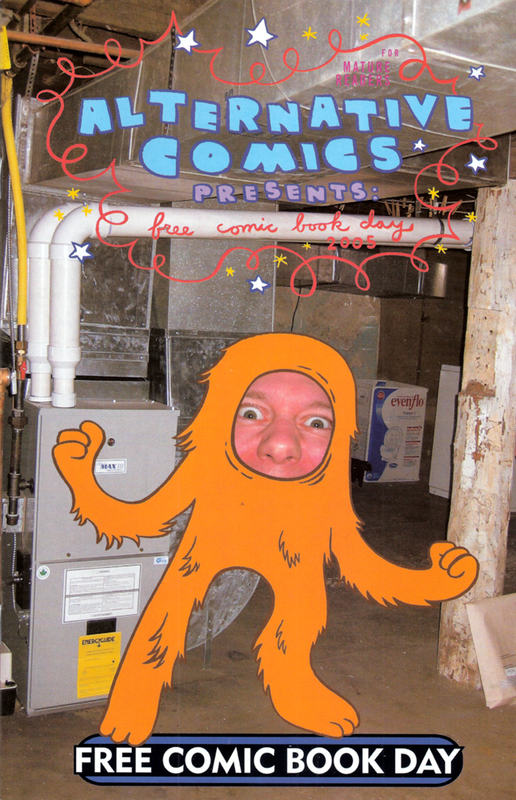 In addition, Alternative Comics Presents Free Comic Book Day 2005 contains a pull-out center section highlighting upcoming books for 2005, a complete checklist of Alternative Comics publications, and a list of industry awards & nominations for Alternative Comics books. This gorgeous book is an absolute must for both new readers and longtime fans of independent comics!